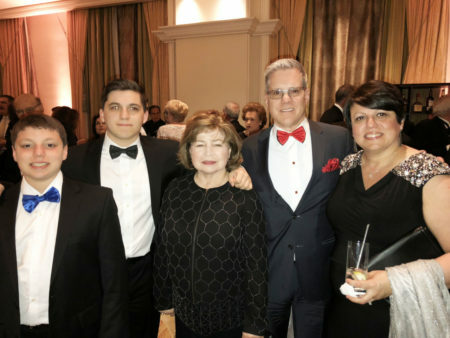 Drake Behrakis is on a mission to keep the Greek community together and its heritage intact. 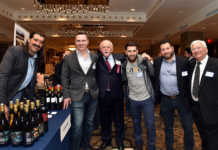 His mission seems a daunting task in a modern age where younger Greeks may not know their roots, but Behrakis is an optimist. 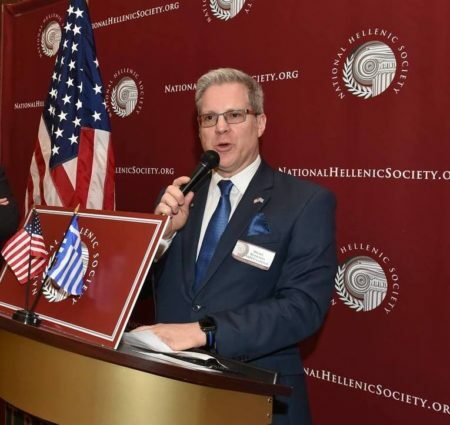 The new chairman of the non-profit National Hellenic Society believes the Hellenic heritage of his ancestors will be embraced and preserved by future generations. He also knows that the NHS can make a difference through its programs and partnerships to bring that heritage to younger Greeks. 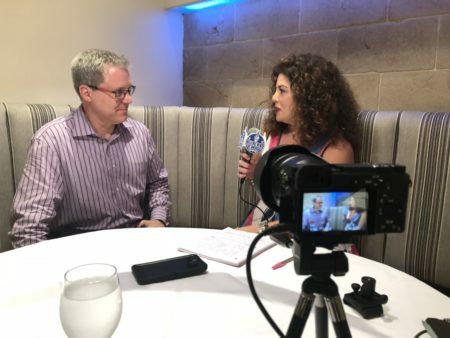 During a recent interview with the Hellenic News of America, Behrakis appeared ready to roll up his sleeves and get to work. The National Hellenic Society was established to “protect, preserve and perpetuate the heritage, ideals, values and beliefs among the Greek community,” for a new generation of Greeks everywhere. The volunteer Society boasts chapters in nine major cities across the U.S. 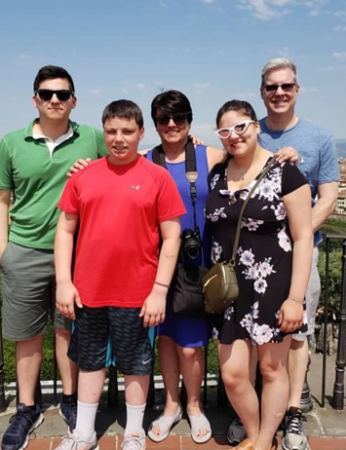 Through its Heritage programs, young Greek Americans can immerse themselves in Greek culture by spending time in Greece and working with students there, as well as learning about the impact of the Greek legacy here in the United States. This year, 65 students participated. In the 10-year run of the program, more than 400 students have made the journey to Greece. 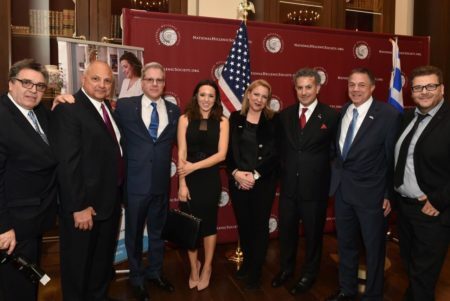 The mission is more vital now than ever as Greek Americans become more Americanized over time and younger generations lose sight of their roots. “There’s a concern that maybe 50 years ago you could just go to any church to find your Greek American community. 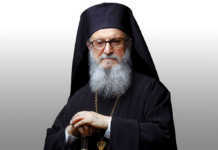 Over time, as much as the church has kept things together, there are folks that never grew up as Greeks,” Behrakis said. One of the great things about the NHS Heritage program is that it reconnects youth with their Greek origins while at the same time exposes them to a fellowship with modern Greeks. 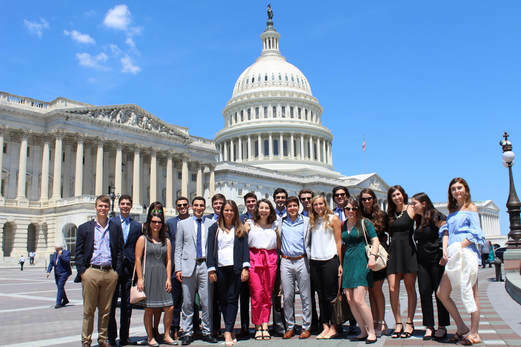 For two weeks, students visit Greek villages, work with their Greek counterparts and form networks that continue long after the two-week trip is over. “They come back re-engaged and reinvigorated that they discovered part of their ethnic background,” Behrakis said. The hope is to continue that journey once they return. “You can’t just say, ‘great, we have a program. You’ve had the experience of your life, now what?’” It’s important to have a framework afterwards for them to be involved with, to empower them and give them a network where they can talk amongst themselves and have the NHS work with them to find out what they are. It’s not enough to just talk about the ideals of Hellenism. The NHS uses its programs to place people in the middle of the Hellenism experience. To that end, the NHS partnered with organizations like National Geographic to promote the ideals of ancient Greece in modern times. “The Greek Guide to Greatness” was a National Geographic series co-produced with NHS that focused on ideas that grew out of ancient Greece, that related those ideas to the modern world. An example? 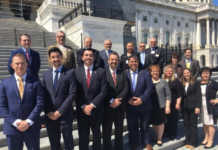 Marathons come from ancient Greece and are enormously popular in many U.S. cities, but few people make the connection back to Greece, Behrakis says. “Why not make it a broader opportunity? Take a step back and talk about how the marathon started, how it transformed to what it is. What’s its true story, bringing it into the forefront of today so when somebody talks about the marathon they make that connection? It’s things like that that we’re trying to do,” Behrakis said. 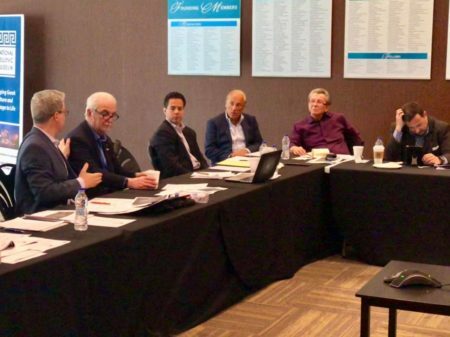 Behrakis’ first order of business as the new NHS chairman has been to put together a strategic plan, to set long-term goals that reach beyond day-to-day fundraising. He will be unveiling that plan at the organization’s Heritage Weekend conference Oct. 4 in Las Vegas. You have to have a formalized foundation of financial support so we’re in the early stages of launching that, he said. The NHS plans to expand its current programs to include older Greek Americans, those in mixed marriages and philhellenes. It will also take a look at successful local programs that could be expanded to the national level. 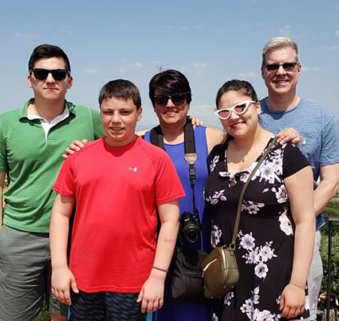 Behrakis and his family make annual visits to Greece. His mother comes from central Greece, from Thessaly and Kalamata. His father is from Oitylo and Triandafilia in Mani. His children understand the importance of who they are and where they came from. The NHS chairman is the product of a second generation Greek American, “obviously very proud of who I am.” His parents were tremendous role models. 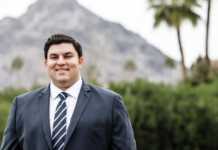 “My parents were born here yet they seem to really grasp the importance of where their parents came from and what it meant to come to this country and also what it means to keep our homeland in our hearts and minds,” he said. The NHS is interested in hearing from the voices of the diaspora and from Greeks in the homeland. Behrakis believes all parties must work together to keep the Greek community thriving. 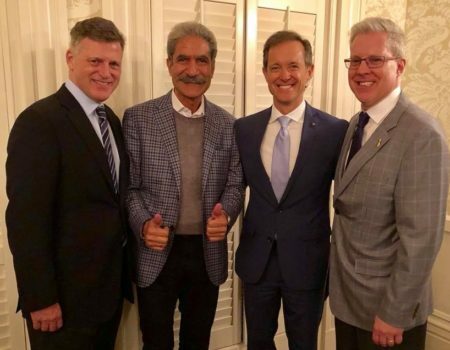 It’s important to connect with “all the important players, organizations and institutions of Greece so we can really, truly, connect that bridge to our homeland and make sure we’re all on the same page, so to speak, helping each other as best as we can,” he said. 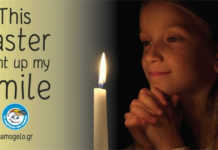 The economic crisis in Greece, with all its suffering, woke up people in Greece, Greek Americans and the Greek diaspora. It sent a clear signal that we all need to step up and help each other. He’s confident that if the market conditions in Greece can offer fair and equitable salaries, skilled workers who left will come home. They didn’t leave Greece for a better life. They left because there were no jobs or opportunities, he said. He believes the “brain drain” from Greece would stop if companies were willing to relocate operations there and hire in the hundreds and thousands. There is a great potential in Greece in the medical field, engineering and computer programming, he said. The National Hellenic Society celebrates Heritage Weekend Oct. 4-7, 2018 at the Four Seasons Resort in Las Vegas. There will be fun activities and excursions for the family in a luxurious setting. The weekend includes the Society’s annual conference, giving members a chance to network, share information and showcase the works of successful members and take care of the non-profit’s business. There will also be speakers and panels addressing topics of interest about what is happening in modern-day Greece and America. About 350 people are expected to attend.